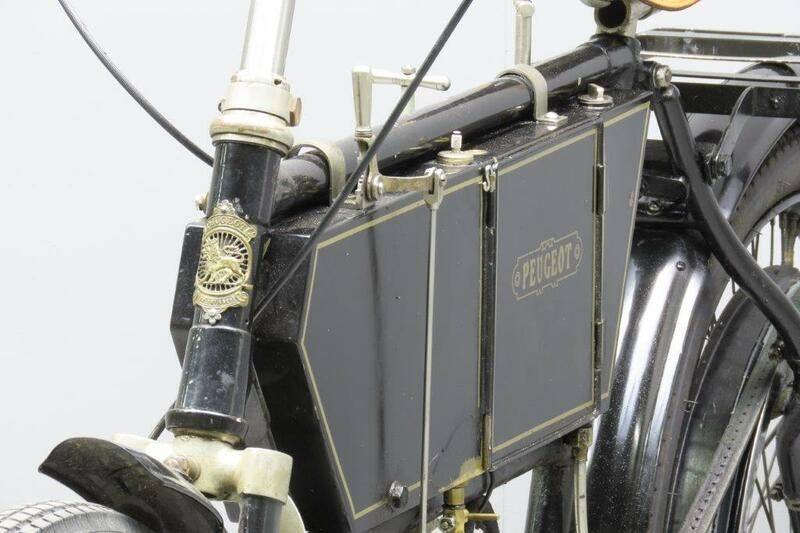 Although a prototype De Dion-engined Peugeot bicycle was displayed at the Paris Salon in 1898, the first motorized cycles to leave the factory were actually tricycles with De Dion & Bouton engines. 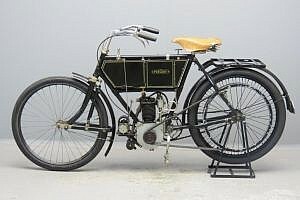 The popularity of the tricycle was unchallenged at first, but by 1902 the motorized bicycle started to take the lead: at the Paris Salon in December 1901 81 motorised cycles were exhibited, of which there were only 21 tricycles or quadricycles. One of the sixty motorized bicycles present was a Peugeot, propelled by a 1 ½ HP ZL engine. The engine was clipped to the front down tube and had a displacement of 198 cc. Its weight was only 35 kilograms and a cruising speed of between 25 and 40 km/h was attainable. 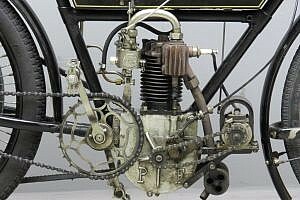 For 1903 the engine was placed in the “New Werner Position” and now two models were catalogued, one with 2HP ZL engine and the other with Peugeot’s own 2 HP power source, both types having the same cycle parts. 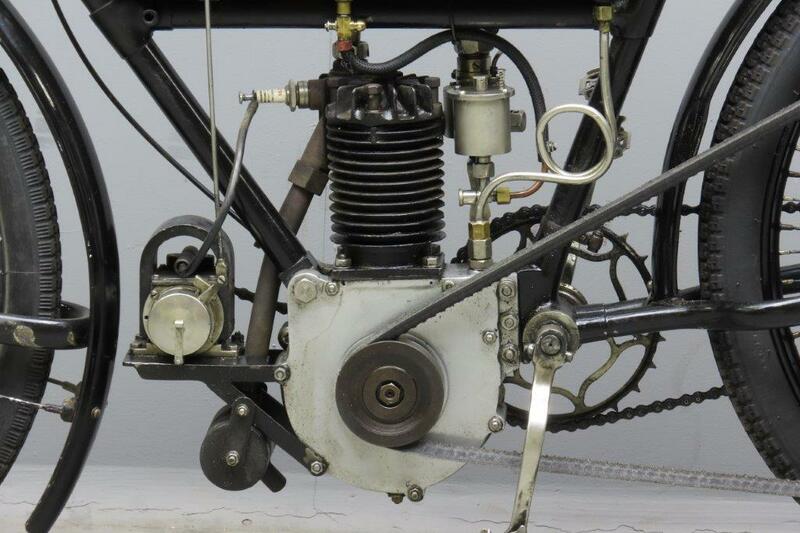 The “Type C’ has a bore x stroke of 66×70 mm and the engine is fed by a Longuemare carburetor. 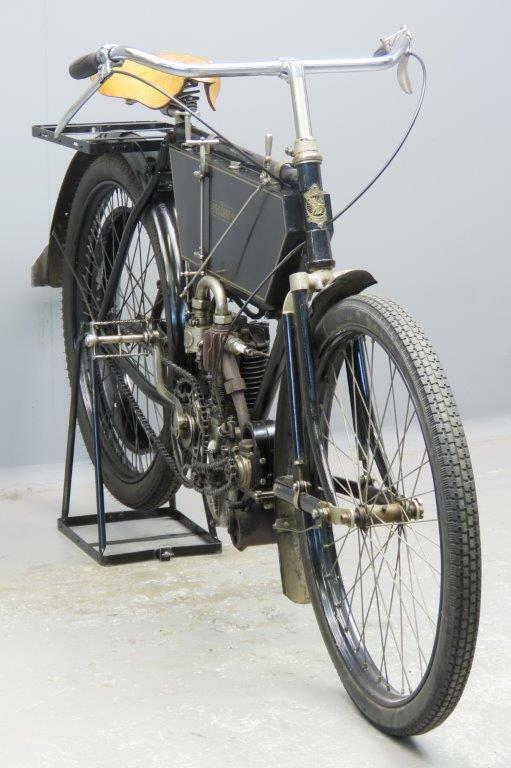 A magneto has been fitted so a spark is readily available at all times. 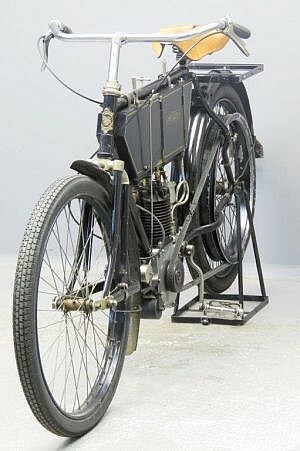 The owner has ridden the machine frequently in vintage rallies and in one of the last outings the handlebars broke down. That explains the modern bicycle-type handlebars that adorn the machine; they do give a very comfortable ride! 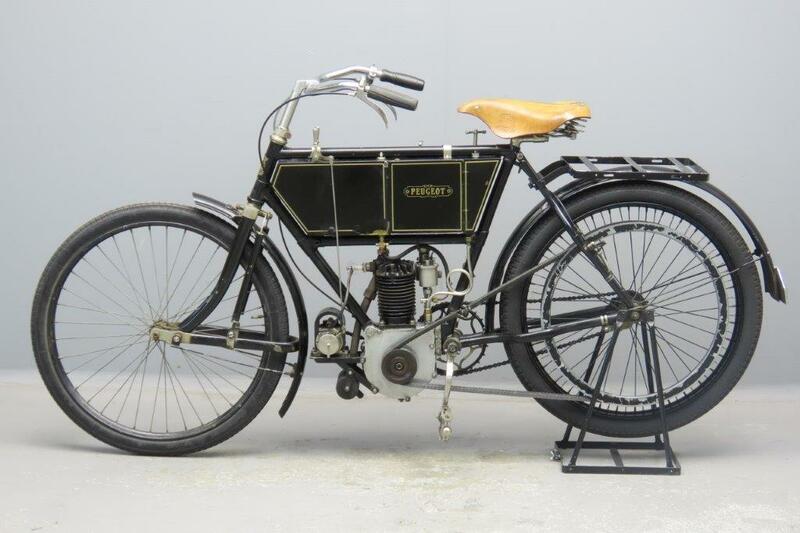 Relatively few of these machines were produced, so this is a pretty rare survivor. 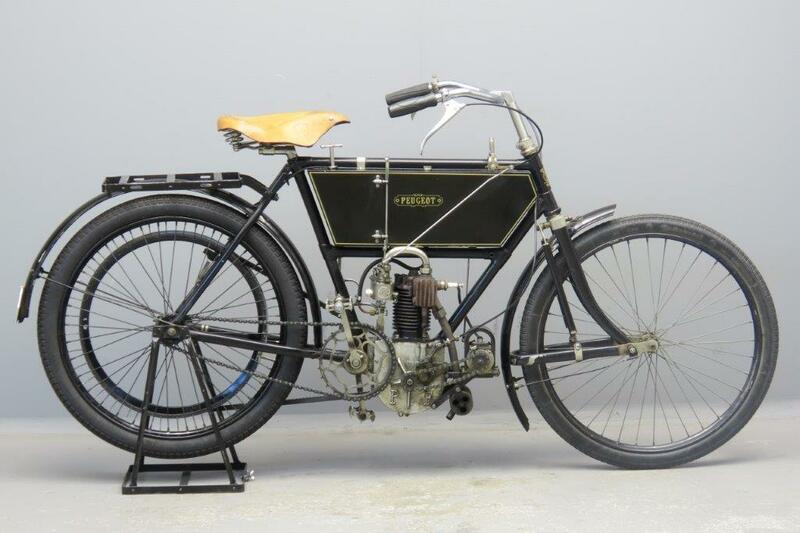 This early veteran is in fine mechanical condition and comes complete with Dutch registration documents.